BJP leader Sreedharan Pillai today did not deny the conversation but the priest said he never had a discussion like this with anyone but his family. The BJP's top leader in Kerala has been caught on camera allegedly boasting about the Sabarimala temple protests and how a priest consulted him on keeping women below 50 out of the shrine even if it meant defying the Supreme Court. 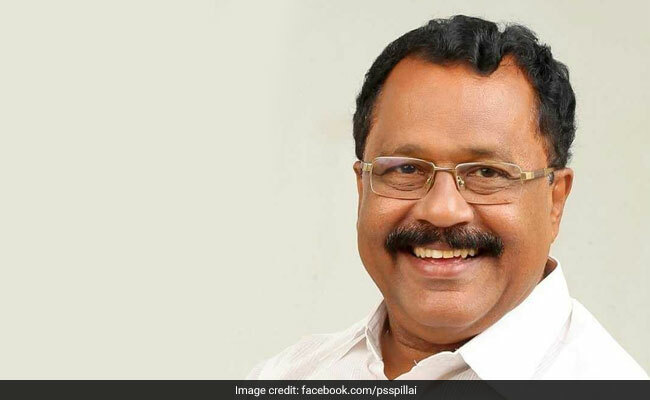 In the video leaked to the media, Kerala BJP president Sreedharan Pillai is heard telling party workers that the Sabarimala Tanthri or head priest called him and was worried about contempt of court if he closed down the shrine to block women. The video surfaced just before the temple opened on Monday under heavy security that included thousands of commandos and a contingent of policewomen above 50. Mr Pillai is heard saying he reassured the priest that in a contempt case, he would not be alone; tens of thousands of people will be with him. "I told him you are not alone. This won't be contempt of court. If there is contempt of court case registered, then it will be against us first. There will be tens of thousands of people with you. When I told him that he won't be alone, he said that that one word was enough for him. And he took a stern decision that day. It was that decision that put the state government and the police on the backfoot," the BJP leader is heard telling party men. He also appears to say: "Sabarimala issue is a golden opportunity for us." Mr Pillai says it is "destiny" that he and the priest both are part of the contempt petition. "This will only encourage his confidence in us. So I was telling, this for us, is a strategy. So after seeing how this would develop, all of us will come on our side," he says. The BJP leader today did not deny the conversation but the priest said he never had a discussion like this with anyone but his family. "So what? I am a lawyer, he had taken legal opinion from me. Many CPM ministers have taken opinion from me," Mr Pillai told news agency ANI. The Supreme Court had in September ended Sabarimala's ban on women of a menstrual age or between 10 and 50 years. Several devotees refused to accept the ruling, calling it an insult to the shrine's celibate deity Lord Ayyappa. About a dozen women tried to access the shrine but were blocked by the protesters. Two women made it to the main entrance but were forced to turn back as the chief priest, Kandararu Rajeevaru, threatened to shut it down. The BJP has openly supported the protesters and recently, party president Amit Shah publicly declared support for those arrested for violence. Referring to the video, Kerala Chief Minister Pinarayi Vijayan called it proof that BJP leaders plotted trouble in Sabarimala. Over 3,000 people were arrested for violent protests near the shrine.